Girl's Trip is the Comedy of the Summer! Girl's Trip is the movie of the summer. I love comedies. I determine how funny a movie is based on choke factor. In other words, will it make me choke on my popcorn. This movie did it. I had difficulty eating and drinking without an interruption of laughter. I wasn’t alone because the crowd laughed so much that I know we missed jokes along the way. There are so many funny scenes that remind you of some aspect of your own friendship experience. The cast made the movie extra special. These lifelong friends (Flossy Posse) in the movie, Queen Latifah, Jada Pinkett-Smith, Tiffany Haddish & Regina Hall sparkled on the big screen. Even Kate Walsh who isn’t in the Flossy Posse was funny too. Will Packer did an amazing job of capturing how friends go their separate ways, but there is common thread that should never be forgotten or lost. True friends will have a difference of opinion. Friends will have ups and downs. However, in the end friends should be unique and genuine, not fake, phony or pretentious. If we could all be so lucky to have friends for years that you can count on through thick or thin. Normally my reviews are movies on the big screen. However I was so compelled and moved by the New Edition trilogy, it warranted a movie review. It is an autobiography of the six members of New Edition and their plight from projects to fame. As I watched, I experienced a myriad of emotions. Like most, I could relate to their humble beginnings, having big dreams, pursuing those dreams, and making it to the pinnacle of success. They were honest in sharing the highs and lows of fame, the disagreements and power struggles of the group. However, one thing that resonated throughout the film is there love, admiration, and brotherhood they shared with each other. They are blessed beyond riches, because they have a friendship which is lasted for more than 30 years. Through thick and thin, they always recognized the importance and treasured their friendship and were man enough to apologize for wrong doing. I heard the group doing an interview on SiriusXM radio. It was interesting because they said people always thought of them like family members (except the teenage & adult groupies). It made their story relatable as we felt like they were neighbors or cousins and apart of the family. We are around the same age and felt like they were my cousins who happened to make it to the big league. In my tweens, I referred to myself as Candy. If you remember the bubble letters, mine would say Bridgette A.K.A. Candy! I distinctly remember when the phone rang, my mother saying, “Who the hell is Candy, you have the wrong number”! I would be in the background telling her it was me, I’m Candy, like Candy Girl! They did a great job casting for the movie depicting each stage of life. The characters not only resembled the members, but they were believable in singing and their mannerisms. They embodied the characters. 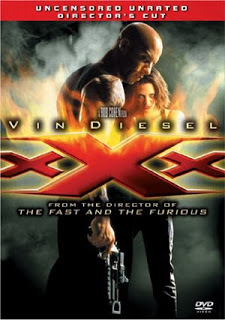 You can tell it was a collaboration of the group as they were all Executive Producers of the movie. It was truly a pleasure and treat for New Edition to share their story to include, dreams, disappointments, defeats, and triumphs. The movie is larger than life. Most people, including non-famous people don’t realize how they are impacting the lives of others. 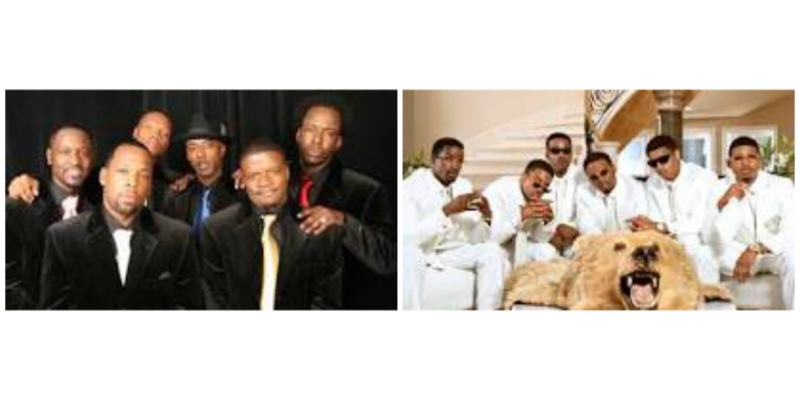 New Edition impacting many people to dream big and accomplish their goals, regardless of the circumstances. They have stood the test of time. Thank you BET for telling the story. The Legacy continues as they are still making great music and producing great artists. As far as my favorite New Edition, I love them all. However, I think I may have a special affinity for Ronnie DeVoe because he is a fellow Realtor. So, Ronnie we can always collaborate on a real estate deal so give me a call, aka Candy. Maybe we need to change the cliché of cats having nine lives to dogs. Apparently dogs are reincarnated too! What we know for sure is dogs are a man’s best friend. Dogs provide a little sunshine on the cloudiest of days and little laughter on a bad day. 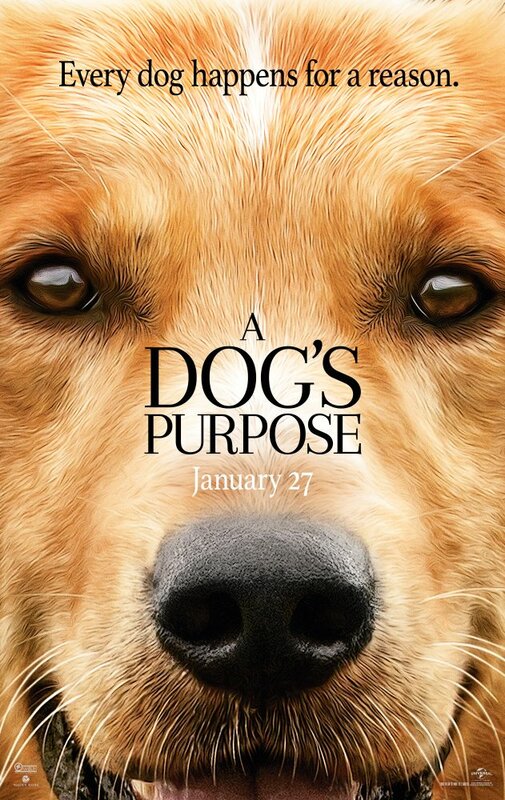 If you don’t have an affinity for dogs, you might after seeing this movie. The movie stars Bryce Gheisar, Britt Robinson, and Dennis Quaid. It was a pleasure seeing Dennis Quaid. Where has he been? Ok, so he’s a friend in my mind, don’t judge! The voice of the dog provided the jokes and was nicely done by Josh Gad. As the movie takes us through the lives of different dogs in different families, it holds your attention, because the dogs are so darn cute. It was realistic how the movie portrayed good and bad dog owners. Like people some are born into wealth and loving families, while others aren’t. Same story for the dogs. The movie was refreshing and entertaining and makes you smile throughout. It was a great message and you will walk away feeling good. I give it a 9! PARENT TIP (newly added section): It is appropriate for all ages and the message transcends to all ages. If you haven't seen Hidden Figures, I encourage you to do so. This movie will leave you inspired and empowered! 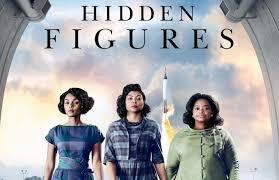 It is a long overdue story of three amazing African-American women at NASA -- Katherine Johnson (Taraji P. Henson), Dorothy Vaughan (Octavia Spencer) and Mary Jackson (Janelle Monáe) who were instrumental in launching John Glenn into space in 1962. They broke barriers, loved life, raised families, stuck together and accomplished goals, even in a segregated world.They were women of many firsts and it reminded me that I am standing on the shoulders of the many women who have gone before me. Instead of cat fighting and backbiting like The Real Housewives of (fill in the blank), it was refreshing for the big screen to show women who were supportive with mutual respect for each other. That is the REAL STORY. In 2001, I became one of the first African American woman Vice Presidents at a national restaurant chain. Fast forward, I am the owner of a Real Estate School where there are very few women Owners of a huge profession of every ethnicity. Aside from my personal journey and feeling connected to the movie, it is entertaining, inspiring, funny and has a plethora of great actors. Furthermore I'm glad my children saw the movie because it confirms that there will always be obstacles in life, but with faith, hard work and determination, there are no limitations or boundaries. Just like our accomplishment to space, the movie deserves the accolades to celebrate the accomplishments of the women in NASA and beyond. I give this movie a 10! A must see. Thank you Universal Studios. Normally I would not pick a movie of this genre, but the screening gave me a reason to see the movie. It was the perfect movie to see on Friday the 13th. It had suspense, drama, intrigue and intense action. Because I believe in the art and craft of acting, I can appreciate the acting skills of the cast. Especially the main character(s). It takes a great deal of acting ability to play just one character, not to mention a character with 23, perhaps 24 personalities. As if that wasn't enough, each character was distinct and you knew each time his character changed which personality he represented. In most cases, a movie of this story line would be hard to follow. However, they did a good job with the depth of the characters. There were a couple scenes that were disturbing. I was saddened knowing it is the reality for some, so those images stayed with me. In short, if you like a well-written, unpredictable, dark, suspense drama, then this is the movie for you to see. For me, I give it a 7. Want a Real Estate License? Need an Evening Class? Want to Grow Your Team? Smaller homes will crowd each other in new, denser developments, and they will be closer to public transit and urban centers. Knowing that square footage is off the table, your buyer clients might ask you to focus more on finding homes with upscale features or green technology. No surprise here if you’ve read the Zillow Group Report on Consumer Housing Trends. In 2017, millennials will continue to drive up the homeownership rate by finally buying homes of their own. As millennials are the most racially diverse cohort, it also means more people of color will become homeowners. Your marketing efforts might include updated strategies to attract this new generation of buyers. Labor shortages in the construction industry — possibly compounded by the President-elect’s proposed immigration policy crackdown — have resulted in rising construction wages, which will be passed on to buyers who choose new construction homes. It will be vital to let buyers know they can negotiate for upgrade credits, floor plan options or reduced closing costs to recoup some value when they choose a new construction home. In their cars, that is. As homeowners move deeper into the suburbs — and farther away from viable public transportation — in search of affordable housing, the percentage of people who drive to work will increase. Although inventory remains low, farming local suburban homeowners might help you drum up some listings. National home values rose 4.8 percent between December 2015 and 2016, and the trend is likely to continue past the New Year’s celebrations. In 2017, Zillow predicts home values will grow 3.6 percent. It’s an opportunity to check in with homeowners who might have been waiting for a better list price.